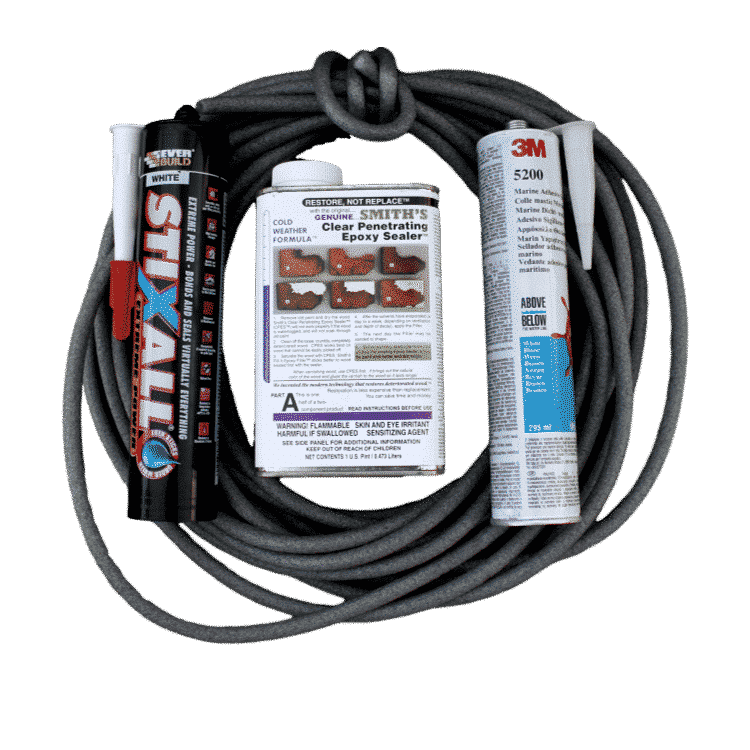 Our Timber Crack Repair Kit offers all of the components required to create a permanent repair to cracks in timber or joints in timber frames, at a discount. Smiths CPES will prime to both timber and hard surfaces such as render. As such this kit is ideal if you have gaps between render infill panels and the frame in a timber framed property. 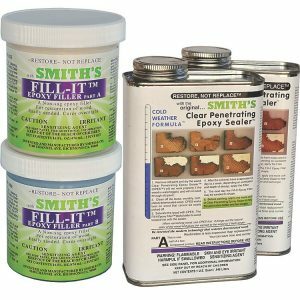 The timber crack repair kit contains a 950ml pack of Smiths Clear Penetrating Epoxy Sealer (CPES) one or more tubes of either 3M 5200 Slow Cure Sealant or Everbuild Stixall with one or more packs of Backer Rod and it is sold at a discounted price. For full instructions on how to affect a permanent timber crack repair, see here. There is no such thing as a standard crack, however the 0.95 litre tins of Smiths CPES is likely to contain enough to treat several hundred metres of crack if the timber is sound. If the timber is badly decayed it may absorb significant amounts, but please, always apply as much as the wood will absorb when performing a timber crack repair. Since a standard caulking cartridge will fill a volume of crack of just under 300ml without waste, this will not last for as long as the Smiths CPES. 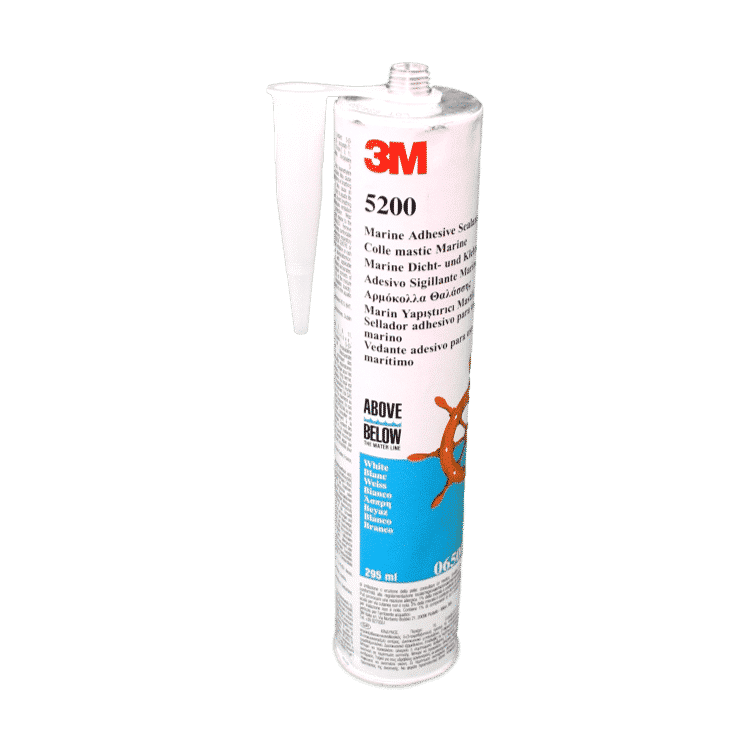 You can buy as many additional tubes of 3M 5200 and Backer Rod to repair further cracks and use your remaining Smiths CPES. 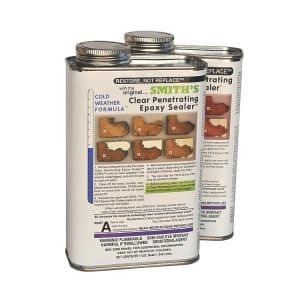 Remaining Smiths CPES can also be used to harden rotten timber, to cure rot and to make paint stick thoroughly to new or old timber. Click here to see all of the things you can do with any remaining Smiths CPES. 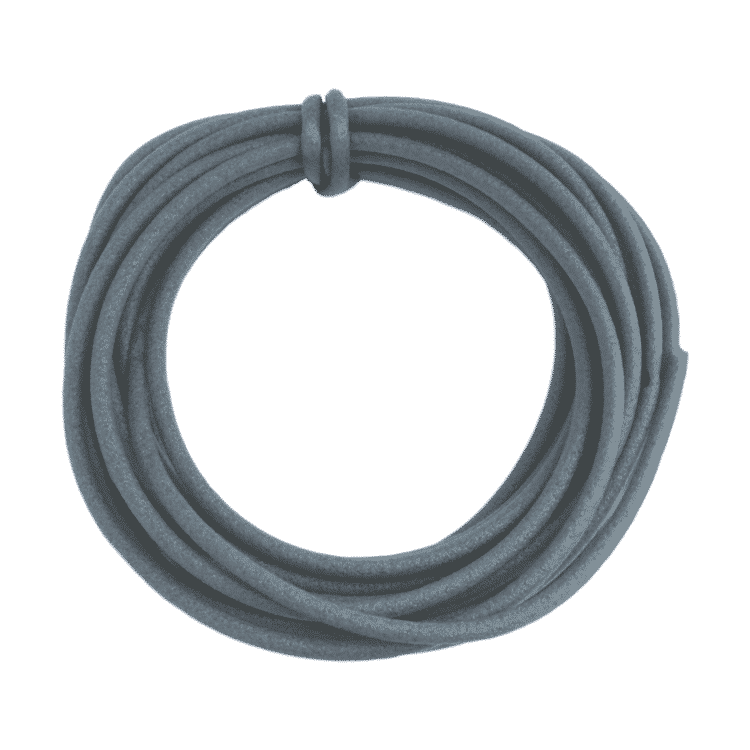 We recommend the mixed size of Backer Rod with this kit, as timber cracks are often of varying thickness. That option contains 5m of 10mm and 5m of 15mm Backer Rod, but can be swapped for one of the other alternatives if required. Use it to fill the void between the two sides, whilst leaving space on top for the 3M 5200 or Stixall to adhere to the crack sides. If you need more, we sell backer rod separately. it is much cheaper than 3M 5200, which it is displacing of course. Choose Cool if the CPES will be used in the UK, as it works down to -2 degrees centigrade. If temperatures are regularly above 25 degrees centigrade, then choose Warm, which is also fine for an English summer. Slow Cure 5200 is tack free in 48 hours, Stixall much faster. We offer the following comparison of the attributes of the various sealants. 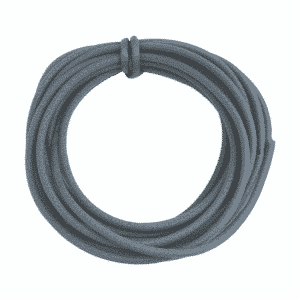 Colours: Stixall is available in White, Black and Clear. Colour may be specified during ordering. We only stock 5200 in White. Sag: Stixall is thicker than 5200, making it less likely to sag during application on large cracks. Durability: We have no valid comparison data for ultimate durability of these products. 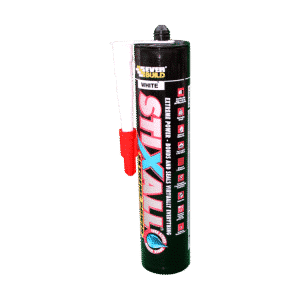 5200 has a very long history as a world class marine sealant, Stixall comes with a manufacturer 40 year warranty, although the terms associated with this are unclear. See manufacturers sites for further information.